It’s a VS Angel face-off! Erin Heatherton was spotted in the same Gianvito Rossi Suede and PVC Pumps Lily Aldridge sported back in March. While Erin paired the on-trend shoes with an Azzedine Alaïa Danae Sheer Panel Dress, Lily Aldridge opted for a white tee and Citizens of Humanity Rocket High Rise Leatherette Skinny Jeans. 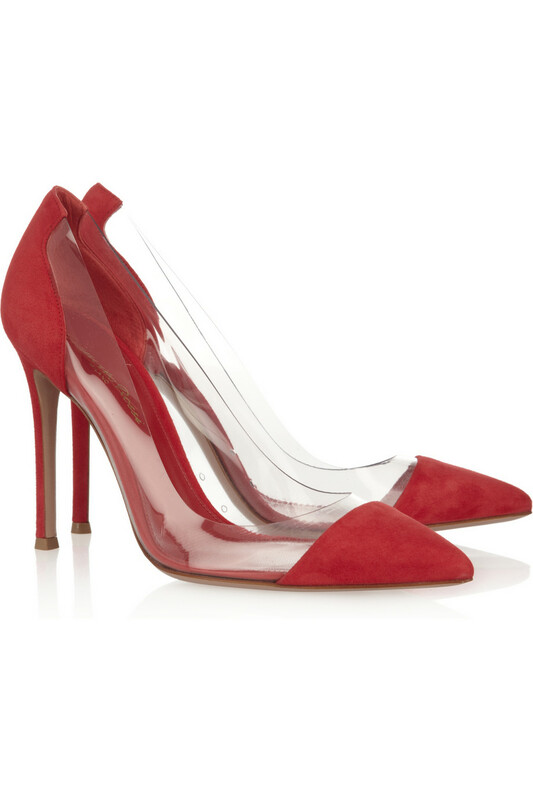 The sold-out pumps boast PVC and red suede detailing, as well as 4″ heels. Both ladies look fab! Erin’s look is perfect for the red carpet, while Lily’s is definitely rock n’ roll chic. What do you think? Who wore it best? Erin in Alaïa or Lily in leather?